Panaji, January 22, 2019 … Duly filled in entries in the prescribed format are invited by Kala Academy Goa from Goan Choir groups / institutions and churches for participation in the State Level Choir (hymns) Singing Competition, which have to be sent to Kala Academy office latest by February 15, 2019 during working hours. 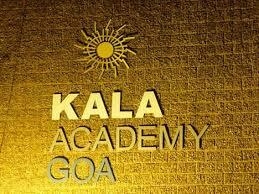 The copy of the rules and regulations and entry form in the prescribed format are available at Kala Academy. There is no entry fee for participating in the competition. The participating groups will be paid travelling allowance (transportation) of one vehicle as per the norms of Kala Academy, besides, Rs. 3,000/- as preparatory expenses. The winners will be awarded with a trophy and 1st prize amount of Rs. 50,000/-. The 2nd and 3rd prize respectively carries an amount of Rs. 30,000 and Rs. 20,000/-. There will be two consolation prizes of Rs. 10,000/- each. The judging will be done on the aspects of voice intonation and rhythm, harmony, expressions, music arrangement, costumes and over all impact. The competition is open to Goan artistes choir groups, institutions and churches. The competition will be held on March 8, 2019 at 4.00 p.m. at Kala Academy Complex, Panaji – Goa. As per the revised rules each participating group shall have to present 3 (three) hymns and the performance duration shall be minimum 10 minutes and maximum 15 minutes for each group and maximum 3 minutes time will be allowed for setting excluding the performance duration. Hymns are to be presented in Konkani language out of which one hymns may be presented in any other language. Each group shall have not less than seven (7) and not more than fifteen (15) participants including musicians. The groups shall perform in voices and the singers shall be allowed to participate in only one group. However, musicians may play in more than one group. While evaluating the performance the preference shall be given to live music.